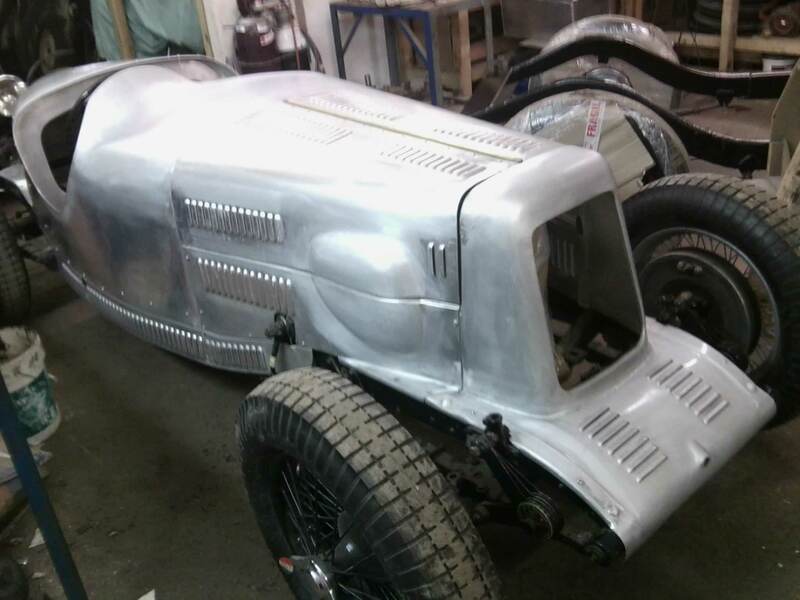 This Lagonda Rapier has a lightweight aluminium body. 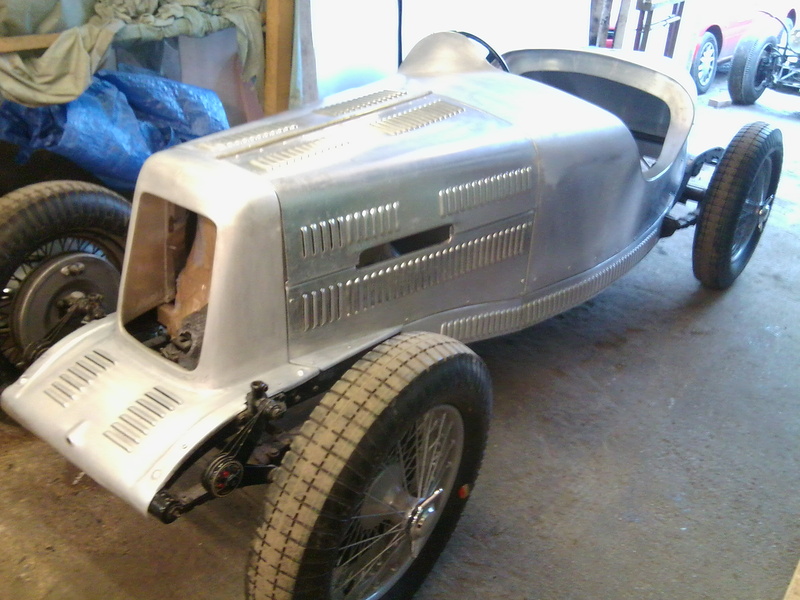 The engines power is enhanced by a supercharger. 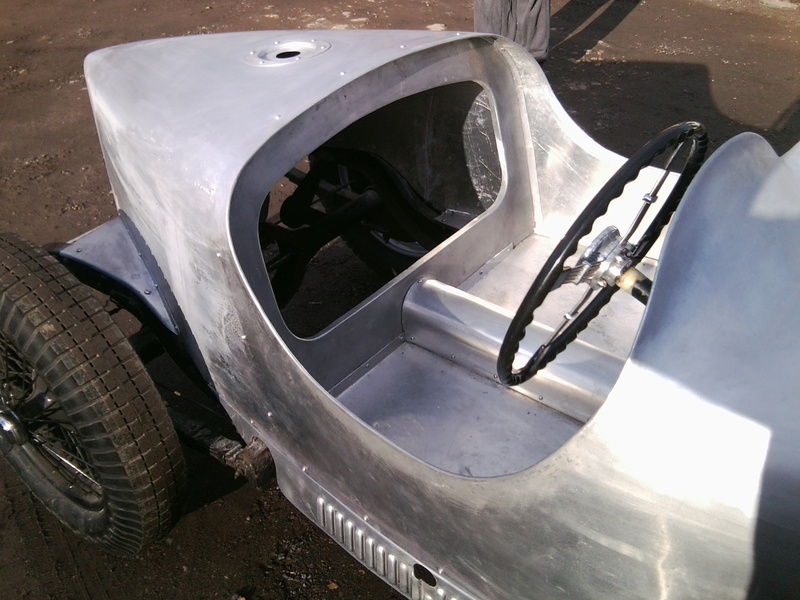 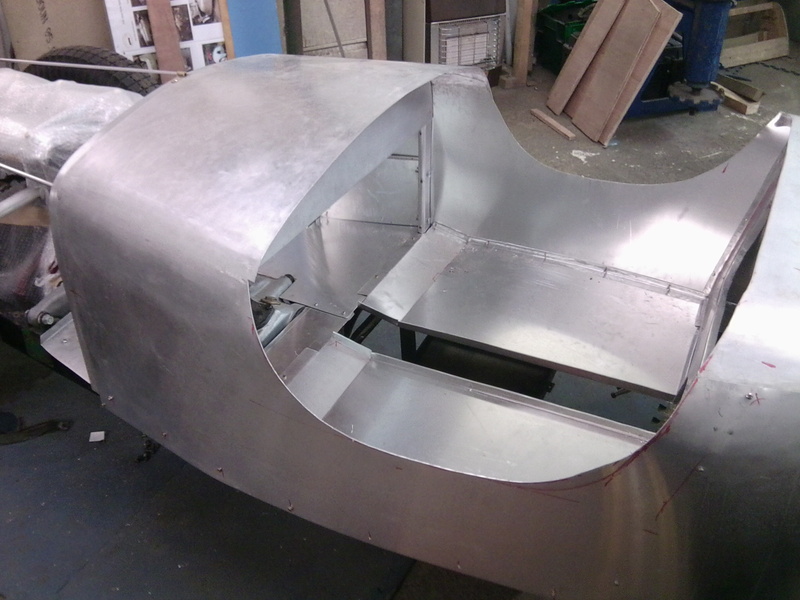 Th panel behind the seat area is made from an all aluminium panel that joins the tail top, and sides with the floor pan.